from Martin competitor Favilla of NYC. Two repaired hair-line cracks in lower bass-side of top. A rare bird indeed, 1 of 88 ever made. This one is in very fine condition with no issues in the original case. 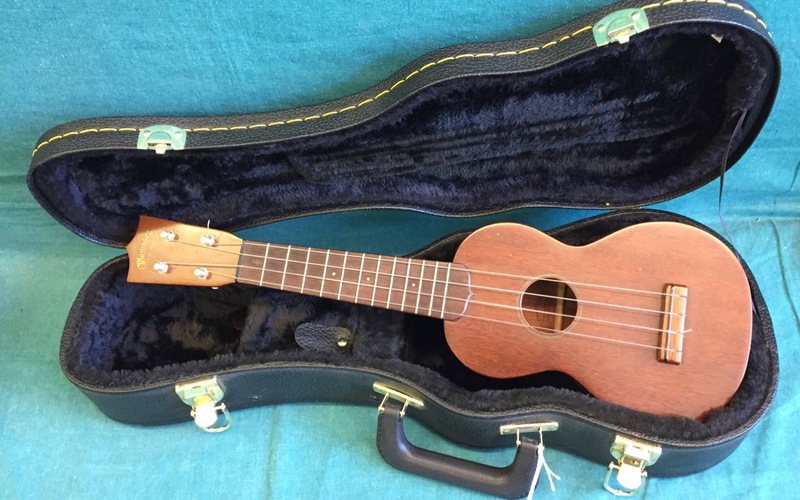 a good uke, nicely repaired. 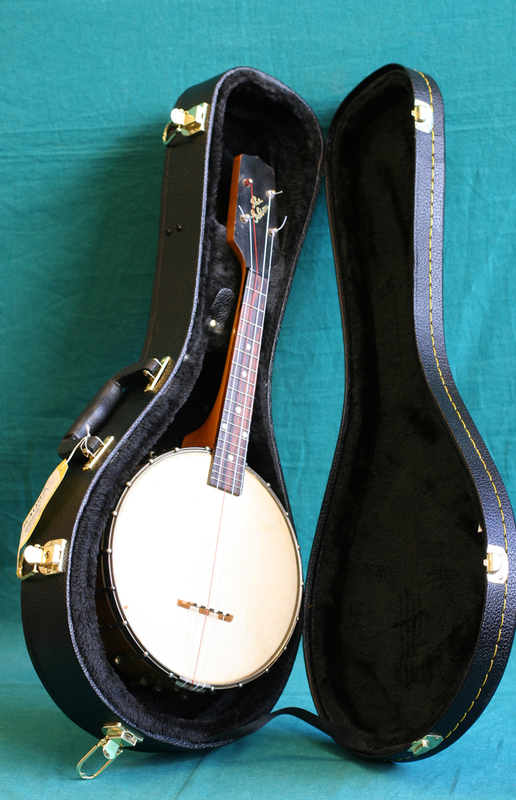 Nice, Used Banjo-Uke, 6" head. 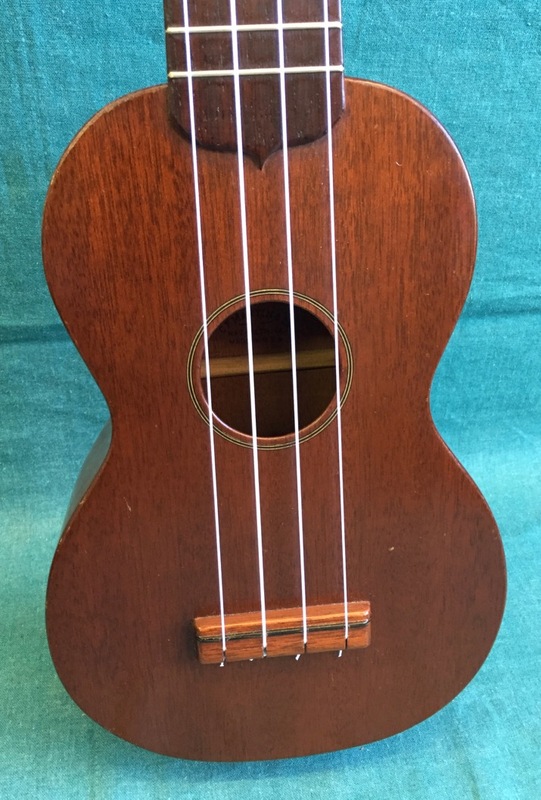 Sold By Hunleth Music in St. Louis, possibly Gibson's Largest Uke Dealer. Original Canvas case with functioning flap, latch and handle. spring-loaded pegs. 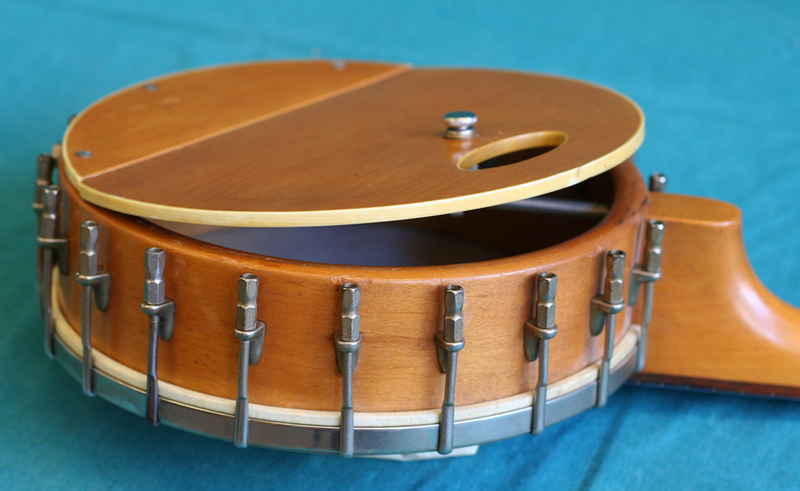 Banjo back has been refinished. 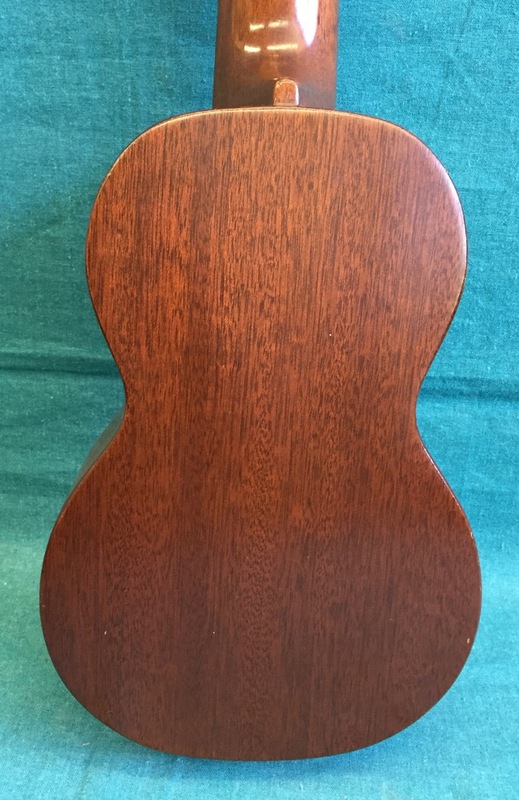 Chicago-made Banjo Ukulele ca. 1930. 7" original calf-skin head with all original Domino decals intact. 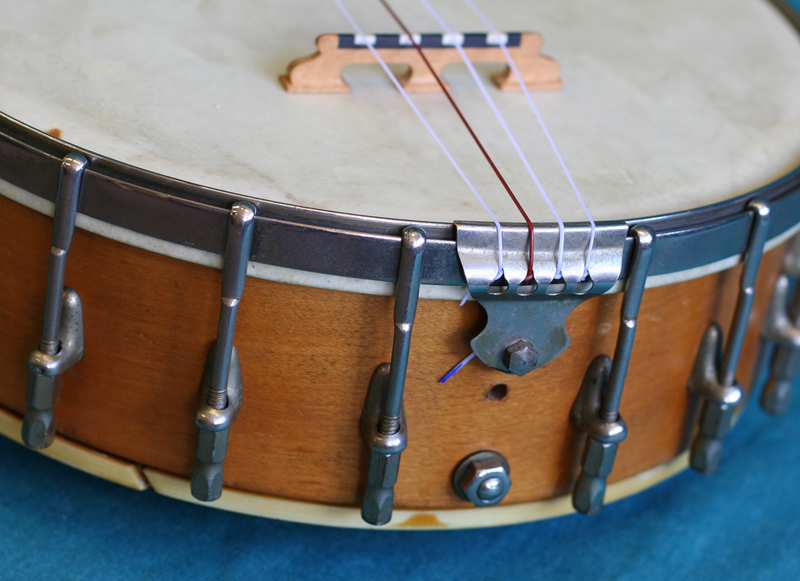 All other Domino decals on neck and rim and resonator are all intact and undamaged. Nearly Perfect. 15 1/2" scale, 8" rim. probably 1950's. No cracks or damage.